Kenmore manufactures the Sears line of water softeners. When cleaning your water softener, you may find it necessary to remove the brine valve from the unit. The brine valve works in tandem with the venturi and nozzle to move water from the brine tank to the resin tank. Cleaning salt deposits or rust requires removing the brine valve assembly from the Sears water softener. The assembly sits inside the brine well tube and connects to the venturi with a tube. Removing the brine assembly requires removing the top of the softener unit to access the venturi. Pull the bypass stem on the rear of the water softener to the bypass position. The bypass stem is on the house pipe connections going to the softener and slides left or right. Lift and remove the cover on the softener. Remove the cover from the top of the brine well. The brine well is the large tube inside the softener that houses the brine valve assembly. The cover lifts off by hand. Remove the nut securing the brine valve tubing to the venturi housing with a wrench. The venturi housing is the assembly near the rear of the softener and has a dome cap on one side. The tubing from the brine valve connects to the left of the housing. Grab the brine assembly at the top and pull it straight out of the brine well. 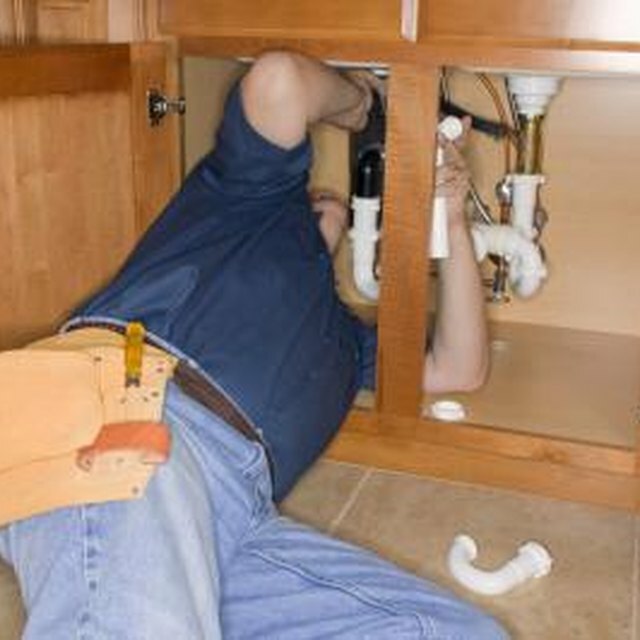 Tip the brine valve upside down in the bathtub or outside to remove the water inside the valve assembly.